For the month of August, parents and children are gearing up for one event in particular: back-to-school! 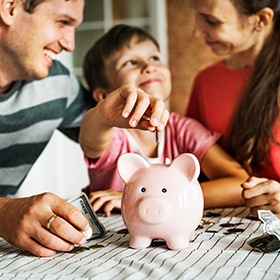 With the new school year starting again, we, at Entrust feel like it's the right time to educate our readers about a special self-directed savings plan called the Education Savings Account (ESA Plan), also known as a Coverdell ESA. This type of account is an option for parents or grandparents of a minor, to help support that minor in reaching his or her educational potential, from grade-school to college. ESA Plans are a tax-advantaged way to save for a minor’s education (i.e. a student or future student). While parents or grandparents (the contributors) pay taxes on the contributions to an ESA, the earnings grow tax-deferred and are distributed tax-free if used for education. What are the advantages of a self-directed ESA Plan? 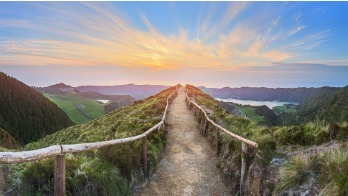 Just as with a self-directed IRA, when you open a self-directed ESA, you control what assets you invest in using the account. This gives you the freedom to invest in what you know best, whether that is real estate, private placements, or precious metals. This kind of diversification of your investments can protect you against market volatility. It also means you aren’t limited to the range of investments offered by a brokerage firm of bank. Contributions to an ESA are not tax deductible, but the investment earnings grow tax-deferred. By opening a self-directed ESA, you have the ability to grow the account faster than through traditional investments. How much can I contribute to and ESA Plan? Your eligibility is based on your modified adjusted gross income (MAGI) and tax filing status. However, you can contribute up to $2,000 annually for each beneficiary. For example, if you have three grandchildren who will become beneficiaries, you can contribute $6,000 in a year. You don’t have to contribute to an ESA every year; the choice is yours. Single filers can contribute to an ESA Plan if their MAGI for the year is less than $110,000. For married couples filing a joint return, the MAGI threshold is $220,000. A trust or corporation can also make contributions to an ESA Plan on behalf of an eligible student. The income limits don’t apply to organizations making ESA contributions. Are there any age restrictions for the beneficiary? A minor (beneficiary) must be under age 18 to receive a contribution, unless they are a special needs beneficiary. (IRS regulations define special needs as individuals as age 18 or older, who are eligible for Supplemental Security Income due to blindness or disability.) A beneficiary may keep the ESA account open until they reach the age of 30. On or before that time the ESA may be transferred to an eligible family member. If not, the assets are distributed. What types of schools can I use ESA funds for? You can use the funds in an ESA to pay for tuition at any educational institution, including elementary, secondary, college, and vocational training*, whether public or private. *Vocational schools must meet the criteria to receive federal aid, not all vocational schools are eligible for an ESA. Does the ESA Plan contributor have to be a parent? The beneficiary does not have to be related to the individual(s) who opens the ESA or make annual contributions to the account. How can the ESA funds be spent by the student? How does one determine an ESA Plan is the right plan for them? Is education a priority for you and your family? Do you want to help a child, niece, nephew, grandchild, or other young loved one save for college? Do you want the flexibility to contribute some years, but not others? Are you a savvy investor with unique knowledge of alternative investments? If you answered 'yes' to all or most of these questions, an ESA may be a good choice for you. A self-directed ESA is different than a standard account because it allows you to have more investment freedom. Self-directed ESAs offer the unique opportunity to hold alternative assets, such as real estate, precious metals, and more. The earnings from these investments will grow tax-deferred, allowing you to save more for education expenses. If you would like to transfer or rollover your existing ESA into a self-directed account, contact us today to get started.